Aaron and I saw Coraline on Valentine's Day and it was so good. 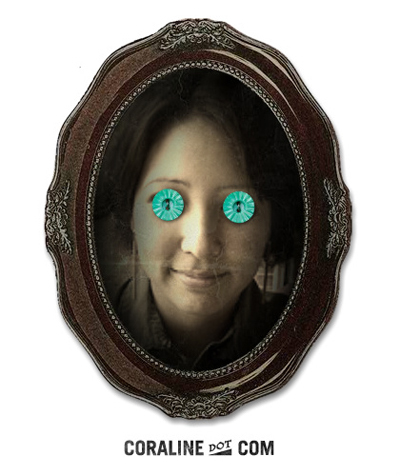 Of course button eyes creep me out a little bit now, but I had to try the Button Your Eyes app on the movie website. I loved the cat and I was so impressed that even the interior of the family VW bug was replicated exactly. I can't even imagine how cool it was to be one of the 50 bloggers to get a Coraline box in the mail!